Timelines can be found on different types of websites. Especially when it comes to social media. Many people consider them to be an extremely helpful addition to their online-projects. There is a couple of reasons for them to be so important. To start with, they definitely look informative and eye-catching. Thanks to them, your design will be capable of getting more attention. Without a doubt, timelines are these very features that can increase the time that your readers are going to spend on your website. Furthermore, they are perfect in terms of telling a story by means of your online project. Of course, many people like typical designs but some of them crave for more. In order to satisfy their curiosity and provide them with something special, you definitely need a wonderful timeline template. It is time to forget about boring designs. Let us create something out-of-the-ordinary and new. If you are ready to break all possible barriers, we can help you. By means of providing you with some stunning ready-made template that you can choose from. Monstroid2 is one of the most popular and feature-rich multipurpose WordPress themes that has been ever developed. There are 500+ ready-made sections and pages among which you will certainly find something to your own liking. There are also many demos that you can choose between. Thanks to them, you can present such topics as education, restaurant, architecture, environment, electronics, and so on and so forth. Discover a huge number of amazing instruments included in this multipurpose corporate template. You cannot even imagine what potential it has in terms of making your website become well-recognized. Its wide range of skills is already waiting for you to create online-presentations, financial websites, online-shops, and so on and so forth. A marvelous Elementor Page Builder allows creating eye-catching layouts and customizing them as your soul wants. Chronology is a tremendously resourceful, clear and purposeful premium theme, perfected through intensive development processes resulting in a versatile, modern and well-made theme structurally created for speed and ease of use. The theme is still elegant enough to be appropriately used for the Facebook style timeline blog. The theme comes with advanced WooCommerce integration, meaning that you can sell your excellent products with ease. The theme’s features an elegant dark layout helping to make the photos pop, however, it is possible to customize it if you’re not an admirer of this dark background. So if you are searching for an impressive WordPress theme this is indeed anything but uniform, Chronology could be a good option. With the powerful Monstroid theme you have countless ways to create timeline style website. Monstroid has many options with incredibly drag & drop page builder. It makes your customization simple, clear and excited. Theme is packed with easy to use Cherry Timeline plugin, which will help you to build elegant timeline very fast and easy. Thanks to its versatility, you can use it to create a full-blown agency website as well as an elegant corporate website or a personal blog. It has a beautiful header, plus the posts show up elegantly via lazy loading. Fully compatible with YouTube, Vimeo, Dailymotion, and other shared video content - your website has never looked better. Parallax and animations for Monstroid are beautiful and smooth. Thanks to sticky menu feature your main menu and logo will always be at the top of the page, automatically following when you scroll. It has a flexible and responsive design so that your site posts looks awesome and eye-catching. 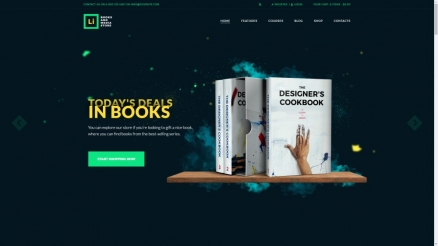 Check out the examples of malleable, catchy and eye-catching homepage demo variations. Be sure that your website will rank great in search engines. In addition to this, the premium theme has detailed documentation for every current option. Monstroid comes with over 20+ shortcodes which make adding multiple page elements a no-brainer. Given these points, Monstroid is one of the complete WordPress themes you’ll find for your business corporate timeline website. One more impressive ready-made template designed for various corporate and business topics. Experience all benefits and exclusive features included in its package. Among them, you can find such excellent tools as a great number of header and footer layouts, Cherry Plugins, and custom widgets. There is also a huge collection of modern Google Fonts to make your texts become more readable and engaging. JohnnyGo is a vibrant template that lots of people have already used to showcase their home services on the web-space. In its great package, you will find 16 demos for such purposes as landscape, roofing, plumber, window cleaning, and many others. There are also 30 custom pages that allow sharing details about your services, team, and other important aspects. It will be also possible to sell effectively thanks to a wonderful WooCommerce package. Falco is another innovative blog WordPress theme with a clean and responsive design. With its outstanding look and a reasonable amount of great design styles, you can rock on the internet. 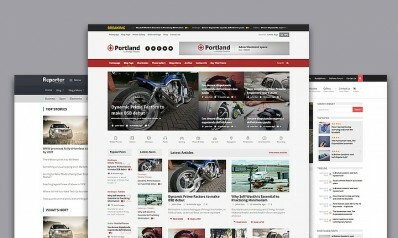 The theme has been rolling on ThemeForest marketplace and produced more than 1,050+ of sales. Falco strength is a number of modern features it offers. The theme includes Slider Revolution what an all-purpose slide displaying solution that allows for showing almost any kind of content with high customization, transitions, effects, and custom animations is. The theme is compatible with WPML plugin that helps you to translate your homepage into multiple languages. Falco timeline blog WordPress theme is search engine optimized and helps you to top the page ranks and draw in much more business. It is our interpretation of how a stylish timeline blog should look like. Scopic is a beautiful and modern timeline blog theme, perfect for creative people, to show your posts elegantly and gorgeously. Scopic WordPress theme is built-in rich media post formats; you can easily share your photos, videos, music, posts in the simple but creative and elegant way. It’s very modern, and it has all the advanced features you need for your website. Scopic WordPress theme is an entirely responsive design that adjusts slickly on different kinds of devices such as desktop computers, tablets, and smartphones. Scopic timeline theme is search engine optimized and helps you to top the page ranks and draw in much more business. It is a very popular theme among the ThemeForest marketplace, and it has more than 900+ customers. Overall, Scopic is a well-made theme! Blogit is a gorgeous, modern and simplistic WordPress timeline blog theme to show your posts in a creative and chronologically way. Its versatile Visual Composer makes it easy for you to sort out all the elements within the theme. With innovative Bootstrap, you get extensive and modern documentation for standard HTML elements, dozens of custom HTML and CSS components, and awesome jQuery plugin. With one click demo install you can set up your website in minutes. With Blogit intuitive and easy to use backend you can play around with settings until you are satisfied with the look of your site. Blogit flexible design focuses on your content and is ideally suited for a minimalist timeline blog homepage. Satab is a simple theme to show your posts in a timeline way. This theme will be a good choice for personal, travel, history, lifestyle bloggers. Satab theme is completely responsive and built on HTML5, CSS3, Bootstrap and jQuery web development technologies. You can choose some lovely color from unlimited colors. You can easily find the right color tone that works best for your design needs. Satab WordPress timeline theme is suited for beginners and pro’s alike. What’s more, Satab comes with 600+ Google fonts. 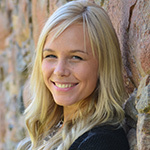 Enjoy Satab, enjoy blogging! 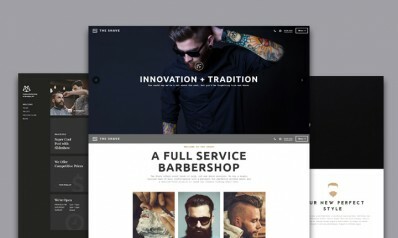 Awesome, clean design WordPress multipurpose theme. Take a look to unique timeline theme demo! We have something SUPER stylish for you - a Super Blog WordPress timeline theme! Super Blog is a flexible WordPress theme that can be used for personal, travel, lifestyle, gadget, technology and for other kinds of blogs. The theme is packed with a handy Visual Composer plugin that gives you complete control of your page unique layouts and an even beginner can design a single website. The travel WordPress theme is the most seamless and minimalist integration of new Twitter Bootstrap Framework give you a beautiful professional, responsive website. Super Blog blog theme is search engine optimized - to increase the visitors of your site. Enjoy Super Blog blog today! Timeline is developed with the innovative features and technologies that a person needs if he wants to create a professional magazine or blog. This theme is carefully polished with attention to details and love. Timeline WordPress theme is Your homepage will look just as gorgeous on mobile phones and tablets. The theme is developed on the versatile Bootstrap 3 framework - versatile and modern HTML, CSS, and JS framework. The advanced admin panel is smart, powerful and user-friendly. Every feature of your homepage can be edited, resulting in an excellent page that will reflect your vision. The perfect choice for multipurpose who want a flexible site. Enjoy writing, enjoy blogging! Twisted is a beautiful, dark style WordPress timeline theme with clean and elegant design what helps you to craft a timeline blog with ease. This theme is build to get the users attention to your posts and identity. The theme is 100% responsive and will look perfect on all types of devices. Twisted is evaluated and favorite WordPress timeline theme, in ThemeForest marketplace has more than 300 satisfied customers. Be one of them today! The Curator is a gorgeous WordPress timeline theme perfect for artists, historians, museums and for people who want to display their work with a chronological focus. This theme is carefully crafted with attention to details and love. The Curator is favorite WordPress theme among the ThemeForest marketplace, and it has more than 640+ happy customers. The Curator theme is 100% responsive will always look trendy on all devices. The theme is compatible with WPML plugin that helps you to translate your website into multiple languages. The Curator premium theme, you will control every element of your site. The Curator is a perfect choice for chronological related website. HighCriteria is the right choice for almost any type of multipurpose-related website. This WordPress theme is built with the latest web development technology and fully integrated with handy tools that make theme customization very fast and easy. HighCriteria theme is responsive, and your web page will adapt to displays on all types of devices. The theme is WPML compatible, and every line can be translated into a different language. It helps you attract a broader audience. Everything is where it needs to be, resulting in a very innovative and trendy website. What’s more, HighCriteria comes with 600+ Google fonts. All things considered, HighCriteria is a visually stunning WordPress theme. Timeliner is a minimalist multipurpose timeline blog theme built with creativity and a clean design approach. Timeliner theme is ultra responsive, retina-ready and based on a clean and valid HTML5 code. Change the colors for buttons and menus to fit your style. Aside from its powerful add-ons, this premium theme is a perfect design for leaving a positive impression on your multipurpose website visitors. 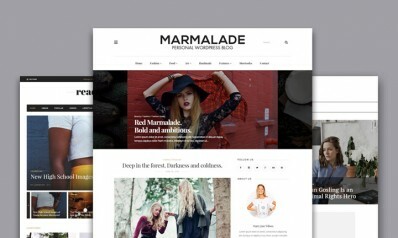 There are three layouts available in this theme package, which you can use as a design for your homepage. The perfect choice for a multipurpose website who want a simple and beautiful site. Timeline is a perfect choice for almost any type of timeline layouts -related website, that can be travel, cooking, lifestyle, pet or personal blog. That is yours choose what can it be, and this theme is very flexible. Every element and module in WordPress theme design is aimed at increasing the number of page views that you will receive. This Timeline WordPress theme is built with the latest web development technology and fully integrated with useful tools that make theme customization very fast and easy. It comes with innovative features, such as - 3 blog layouts, featured slider, support for Contact Form 7, sticky navigation, 650+ Google web fonts and much more. Everything is where it needs to be, resulting in a very malleable and perfect website. With Timeline, you can easily create your timeline website without any coding skills. LineTime is a modern and straightforward timeline theme, which will give your visitors a good perspective of your blogging website. This beautiful theme will be perfect for designers blog, travel and lifestyle blog can be used for food ar recipe blog and other bloggers. This theme is so multipurpose and can be used for any blog. LineTime theme is responsive, and users will not encounter problems while viewing content from mobile devices. The theme is WPML compatible, and every line can be translated into a different language. You can choose from a lot of colors so that you can find the right one that works best for your design needs. Also, if you tire of them, you can change the colors whenever you want to freshen up your site. Choose from 650+ Google fonts that best fits your web design needs. Time Travel is a unique design and creative timeline, responsive WordPress theme. This theme is good chose for a personal blog, travel, food photography, culinary, gaming, or musician blog. It comes with a polished, perfect and innovative design ideal for your timeline blog. Wow, this is a popular theme in ThemeForest marketplace, with more than 590+ consumers! Be one of them! If you want to change the default colors, you can do that very easily. Just replace those using the color picker in the excellent theme options. This Time Travel theme gives you powerful customization options to change the look and feel of your homepage. It’s clear that there is a severe developers team that worked on the accurately crafted details of this Time Travel WordPress theme. AWSM is minimalistic, streamlined and simple WordPress one-page theme ideally suited for creative people and bloggers. This WordPress theme will improve your homepage and attract more visitors. AWSM theme is with a fully responsive design layout that works perfectly on all devices – from desktop to mobile. The theme is translation ready, and you can translate your website into your language. The theme includes .po & .mo files for easy translation. This WordPress theme gives you powerful customization options to change the look and feel of your timeline blog website. With AWSM WordPress theme, you will control every element of your site. AWSM one-page WordPress theme is search engine optimized and helps you to top the page ranks. With the documentation file, you can build your blog fast and naturally. AWSM is a prevalent WordPress theme with more than 560+ sales. All things considered, AWSM is a must have WordPress theme. Jarvis is another graphically outstanding, WordPress timeline theme with a modern and responsive design. Jarvis theme is specially built for any kind Festival, DJ, nightclub, bar, concert or any event or party website. What's more, Jarvis WordPress theme will be ideal for showcasing your DJ or musician career portfolio. Wit Jarvis you can providing information about upcoming events, information about Dj, artists, videos, photos and Dj Mixes. WPBakery’s Visual Composer is included in the powerful admin panel, along with a few custom elements for the content builder. The theme support one-click installation, so you need to purchase the theme, and it will do the rest from A to Z to make your site up. The innovative variations in the two demos are just some examples of how you can set up your versatile homepage. Jarvis streamlined design focuses on your content and is ideally suited for a serious nightclub, concert, festival website.